Because they are my heart. And that’s all I need to say about that. That is a rockin’ hat Athena’s wearing! Anyone who doesn’t read that and think d’awww is a monster. Something I really appreciate about you is that you’re not ashamed to be moosh-faced in public. The joy you have in your family is such that one can reach out and touch it, and that’s awesome. They are lovely photos of a lovely pair of ladies. I’m glad they’re in your life, too. I totally saw this one coming, but thought you’d wait until the day before or day of Thanksgiving. Not that you’re trying to, but if past posts are any indication of you degree of thankfulness, you won’t be able to top this one. Sometimes just a few words is enough to display true and undeniable love. Well done, Scalzi. Lovely pics. You’re a lucky man! You’re a sweet guy, John. Yay for happy families! Super Scalzi Women Wonder Powers Activate! 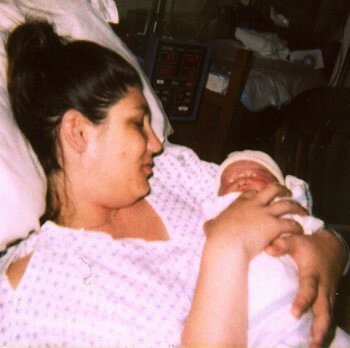 I remember seeing that first picture when Athena was born and now I’m all teary. 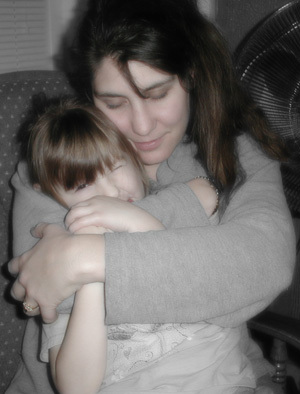 I can’t believe how old Athena is now (or my own oldest daughter, who was born in 2000). 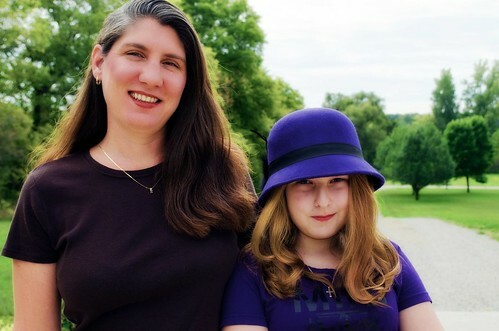 I think the name of Athena’s next band should be Rockin’ the Purple Hat. Gotta love the Purple Hat of Awesomeness! My first thought when I saw the title in my email was What! they don’t each get their own day? But since you only have one heart, it makes perfect sense. Rick, if you gave them separate days, which one would be first? Also: Ghlaughghee’s probably starting to feel unappreciated. You hear so much about sad families and tragic situations – it’s lovely (and encouraging) to be reminded that there are happy people out there who love and nurture each other. And I love the hat every bit as much as the first time you posted that pic. You are truly blessed to have such a wonderful family. Yay, John & family. The average man says thank you to his wife and daughter probably only twice a week. You found a way to show over a decade’s worth of thanks and appreciation in three photos and one post. Well done, sir, well done. Athena, your hat is cramazing. Am I the only one who read it as “Because they ate my heart” at first?